Basmati, pilau, long grain, egg-fried. These may be some of the the first things you might think of when somebody mentions the word ‘rice’. Some of them will probably make pretty good components of a pre-match meal but in this article we’ll be talking about another type of rice, one that you need to know about to deal with the injuries you might pick up playing sport. In the world of sport science ‘RICE’ is an acronym for the way you treat injuries. The letters stand for rest, ice, compression and elevation. We’ll get into each of these in more detail in a minute, but first it’s worth understanding exactly when you should (and should not) be using it. What type of injuries need RICE? RICE is designed to be used on minor sprains and strains, which make up a large percentage of all the injuries you will pick up playing a game like 5-a-side football. This treatment is perfect for those all-too-common knee or ankle strains. It isn’t, however, a substitute for medical treatment and, if you suffer an injury that’s really serious, you need a different level of treatment. I don’t want to see any of you try to treat a broken leg with RICE; get straight down to the hospital instead! 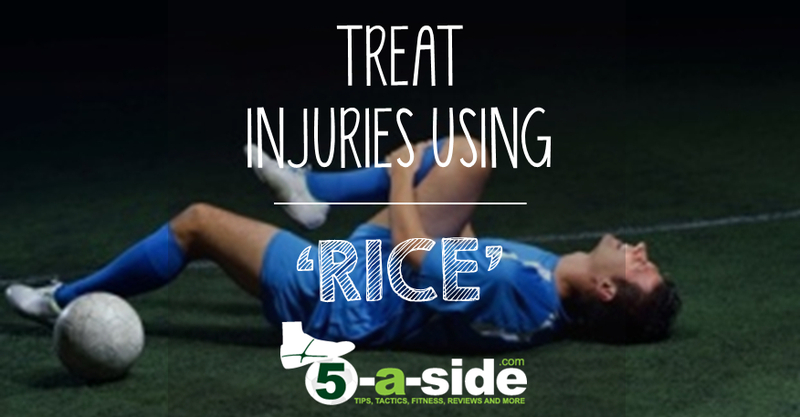 The first step in treating an injury using RICE is to rest. It’s really important that you immediately rest the injured area and stop putting stress on it, otherwise you’ll end up doing further damage which will just increase the seriousness of the injury and your eventual recovery time. So, as soon as you’re injured, take it easy and leave the pitch if you have to. Whilst that might seem extremely obvious, it’s something that’s not especially well done in practice. A lot of us struggle with this as nobody wants to hobble off and watch the rest of the game from the sidelines. And nobody wants to look soft in front of their mates who, if they’re anything like mine, will be having a great time asking if you’ve “cracked a nail again” or “laddered your tights”. Cheers lads. But you’ve got to do the best thing for you. What might amount to social pressure from them can lead to problems later down the line. Remember: there never have been any war medals issued for bravery on the 5-a-side pitch so listen to your body, not your mates. Nobody wants to be on the sidelines, but playing on could make the injury worse. Once you’ve left the pitch, continue to take it easy on the affected area. Chances are that it’s beginning to swell, so you want to avoid making things worse by putting stress on it. Be careful with the injured area until it has recovered the majority of function and the pain has nearly gone. Don’t go rushing back from injury too soon either; you have to let healing take its course. As an example of the importance of rest: last year I tore a tendon just above my knee and it kept me out of the game for about 6 weeks. I had what the professionals refer to as a ‘grade 2 tear’, which typically takes between 3 to 6 weeks to recover from. Now, the thing is, I knew I had done something bad to myself the very first moment I did it but, like the hero I am, I decided to carry on playing (even playing a second game later that week) and things got a lot worse. Had I not carried on playing, that tear would probably have been a simple ‘grade 1’ tear, which is less serious and takes about half the time to recover from. I learned my lesson the hard way. Once you’ve stopped your activity, the next step is to apply ice to the area. The reason that we do this is to manage the swelling that will come with the injury. Managing the swelling will reduce the pain, and in turn also reduce your need to moan to everyone else about how much it hurts. A useful outcome, we can all agree. So, get an ice pack and apply ice for around 20 minutes of each hour when you’ve first sustained your injury. Be very careful with the way you use ice as, done wrongly it can lead to frostbite and can even worsen the injury if it is used for too long. Make sure that whatever ice pack you use is wrapped in a towel or other insulating material and is strictly used for no longer than 20 minutes at a time, otherwise you run serious risks. 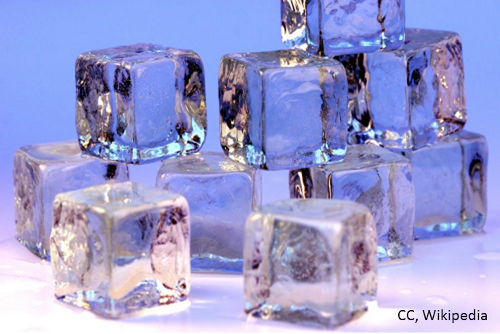 Ice can help ease swelling and pain, but be careful how you use it. In terms of what to ice with, a pack of frozen peas (RICE and peas anyone?) wrapped in a tea-towel will do the job. Personally, I use a proper medical-grade reusable ice pack which I keep in the freezer at all times ready for any injury. It’s easy to store, is really inexpensive and can also double as a hot-pack. Check out this hot/cold pack on Amazon* for the one that I use (also don’t forget about getting a sleeve to put it in*). Next, it’s time to think about compression. This also helps reduce the swelling that will result from the inflammatory process. You might wonder why we’re waging war on swelling. Swelling is part of the natural healing process, so a certain amount of it is to be expected and even encouraged. However, if you get too much swelling it will result in loss of function and inevitable pain. To avoid this, you can use elastic tubular bandages that you can place over the affected area. The beauty of this sort of bandage is that it can be doubled-up if more compression is required and can be re-used several times (as long as it remains clean). 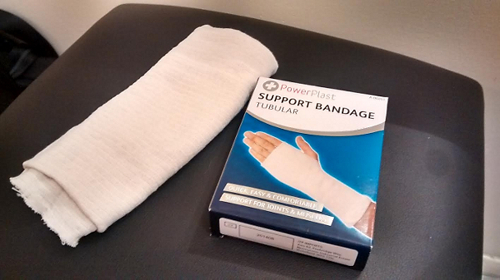 A tubular bandage like this will give you effective, safe compression. A compression bandage should sit snugly, but should also allow for a little expansion – otherwise you run the risk of cutting off the blood, which isn’t going to do your injury any good at all. For this reason it’s not advisable to use firm bandages that aren’t elasticated. Swelling: You might wonder why we’re waging war on swelling. Swelling is part of the natural healing process, so a certain amount of it is to be expected and even encouraged. However, if you get too much swelling it will result in loss of function and inevitable pain. So, all of the 4 components of RICE are aimed at minimising swelling, reducing pain, and returning you to fitness as soon as possible. 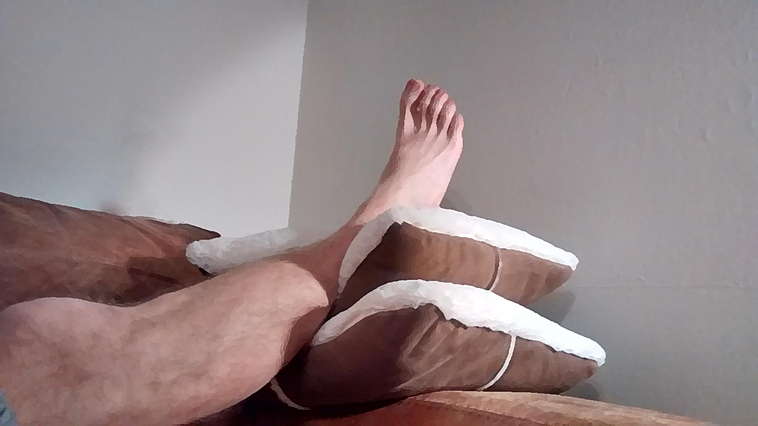 Lastly, you should also look at elevating the injured area, as this is yet another way to reduce swelling and pain by taking the blood flow away (but not totally away) from the affected area. Try elevating the injured area using cushions. This is my personal favourite of all the 4 components of RICE as it generally involves positioning myself on the couch, watching TV with one leg in the air, propped up on cushions. This is going to feel like the easiest treatment of injury you’ve ever done. How long should I use RICE for? RICE is a technique designed for use immediately after you suffer the injury and can be used over the first few days following the incident. 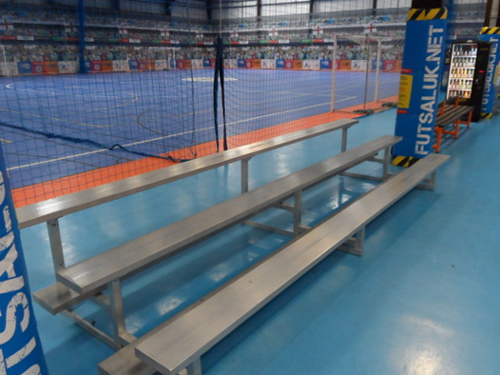 The principle of rest, instead of rushing straight back to playing, is one that you should observe over several weeks if need be (though it’s not a good idea to completely immobilise the injured area for anything other than a short period). If after 48 hours you are getting no relief, or especially if things are getting worse then it’s a good idea to go and see a medical professional. Are there any alternatives to RICE? There’s a wonderful array of RICE adaptations, most of which seem to involve an extra step just to make an even cooler acronym. For instance there’s ‘PRICE’, which involves the addition of ‘protection’, and ‘RICER’, which adds ‘referral’ (to a doctor / physiotherapist) on to the end. All useful extra thoughts, but essentially they all revolve around the core RICE principles discussed above. RICE is what most practitioners will recommend for the treatment of sprains and strains (including the advice that our own national health service give us), but there is a school of thought that for ligament and tendon damage a process of MEAT is more effective (how food-obsessed are the medical profession with these acronyms?). MEAT involves movement, exercise, analgesia (a posh word for pain relief), and treatment. The most striking difference is the advice of using movement as opposed to the ‘rest’ of RICE. The argument goes that prolonged rest and immobilisation of the affected joint actually slows down the healing process. It has been shown that mobilisation increases blood flow, reduces muscle atrophy and joint stiffness. This is the argument put forward for treating knee-ligament injuries, where exercising the knee helped produce the most improvement in ligament strength. Still, this refers to the healing process, not necessarily the immediate management of the injury, for which I would still pick RICE, I’d leave MEAT for a little later in the process.